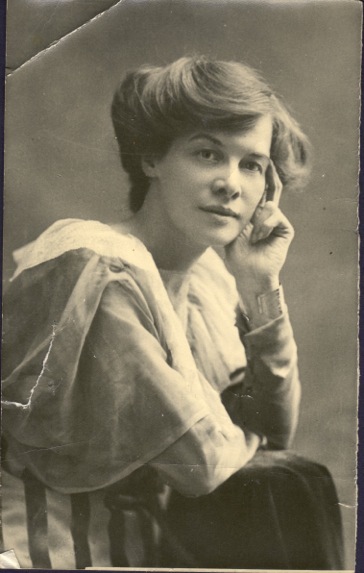 Elisabeth Freeman was born in England and raised in the United States. She returned to England as an adult to join the work of British suffrage leader Emmeline Pankhurst, and while she disapproved of the British suffragettes’ more militant tactics, she admired their fighting spirit. 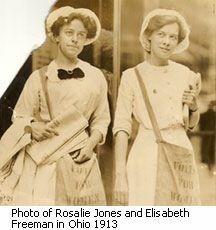 She spent much time on Long Island, working with close friend Rosalie Gardiner Jones. The two friends travelled across Long Island in their little yellow suffrage wagon, spreading the message of the woman suffrage cause to all who would listen. Elisabeth and her white-clad newsgirls are featured on the cover photograph, selling suffrage newspapers at the Hempstead fair in 1913. Chapter 4 tells her story, while Rosalie Gardiner Jones is featured in Chapter 6.